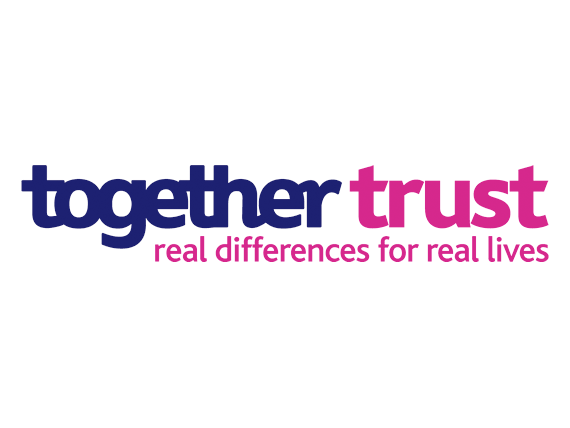 Founded in 1870, the Together Trust provides a range of specialist care, support and education services for people with a range of disabilities and difficulties including behavioural challenges, learning difficulties, physical disabilities, complex health needs and autism. Based in the North West, Together Trust accept referrals from across the UK. As a provider of over 40 different services - many using different data systems and processes - the Together Trust knew there was scope to improve operational efficiency through the collation and management of data streams. The charity needed a consistent way of managing information whilst enabling each service area to have a tailored approach. The solution also needed to factor in how the data would be used, as they have a wide range of stakeholders whose reporting requirements differ significantly. The Together Trust already had a strong relationship with GMCVO and they were aware that GMCVO had set up a social enterprise offering consultancy and support services for the CiviCRM software. Following initial consultations with GMCVO and a visit to one of their clients, the Trust went on to research other CRM providers. However, the charity found that no-one came close to CiviCRM/GMCVO in terms of flexibility and value for money. Another deciding factor was that the organisation’s content management system software (Drupal) being used for their website (in development at the time), complemented the CiviCRM enabling the two systems to integrate with one another in terms of data capture from a range of sources. GMCVO Databases worked closely with the Trust’s web provider, One Marketing Communications, to develop and maintain these links. The system was launched in February 2014. Implementation was handled by Mel Darlington (Change Programme Co-ordinator) who worked with staff across the Trust to specify their data requirements and ensured that all staff received appropriate training. Staff across the Trust have varied experiences of working with databases so training needed to accommodate a range of IT abilities. Implementation also needed to happen alongside existing systems & process - minimising duplication was a priority. Providing consistent focus on the benefits of a centralised system was essential, as was a realistic view of how long it takes to fully embed a new system. Mel says ‘it will always take time to embed a system into an organisation this size, but 12 months post launch our staff are now realising the rewards’. She is pleased to find that she is not the only member of staff asking ‘I wonder if CiviCRM can do that?’ when faced with a new challenge, as it means they too are realising how versatile the system is. CiviCRM facilitates a number of different methods of collecting data, including capturing data from the website, manual entry and bespoke forms for capturing referrals. A specifically designed system to support the Business Development team is now in development. GMCVO Databases worked with the charity’s existing referral forms to design different web forms for data capture across the service areas. This information now feeds into CiviCRM, and enables staff to complete the forms online (on and off site), log any follow-up activities and, where necessary, notify colleagues of relevant information from the central database. With an ambitious marketing and communications strategy, the charity uses CiviCRM to manage contacts for e-marketing. Data collected also aids decisions about future marketing campaigns. The events functionality on CiviCRM is utilised by the Trust’s Fundraising Team and a number of other services. This module is aligned with the Trust’s website to advertise events, manage online registration & payments, schedule reminders and carry out other functions necessary for successful event management. Data security is paramount for the Together Trust. GMCVO Databases has worked with the charity to develop strict permissions, so that staff can only access data relevant to their service area. GMCVO Databases has also worked with the Trust to streamline CiviCRM’s reporting functionality that enables the production of service specific reports. Reports can now be produced centrally, in a standard format and can be analysed according to the needs of the service. This includes operational reports, quarterly KPI monitoring, has also helped to shape the organisation’s Sustainability and Growth Plan and will help drive customer service excellence. Together with other strategic change, this will help to ensure that Together Trust continue to make ‘real differences to real lives’.